Situated in Pennsylvania's Dutch Country, The Inn at Leola Village, Est. 1867 is an idyllic destination for business travel, a leisurely weekend, group outings, or a romantic escape. Affording the perfect blend of historic charm and modern comforts, The Inn offers guests the only AAA Four Diamond and Forbes Four Star experience of all Lancaster, Pennsylvania hotels. With first class services, two on-site restaurants, and a full service spa and salon, it’s easy to see why visitors select The Inn at Leola Village for a memorable Lancaster experience. Guests can dine at one of the specialty Italian restaurants where they will enjoy the refined atmosphere and cuisine of TÈ or the rustic, casual style of Osteria Avanti; get pampered at Destinations Spa; or wander through a collection of Lancaster's most unique shops and galleries that grace the hotel. For business minded guests, The Inn is ideally located near Greenfield Corporate Center, Case New Holland, Eurofins / Lancaster Laboratories, Bosch, Manheim Auto, and numerous corporations. This historic hotel also boasts wireless Internet access, a 24/7 business center, and a complimentary corporate shuttle. 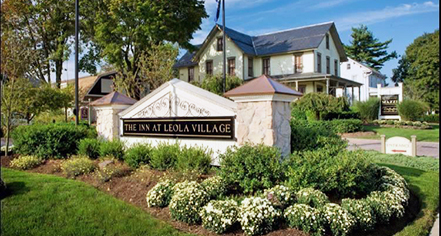 The recipient of numerous awards and accolades, The Inn at Leola Village is recognized as one of the best Historic Hotels in Lancaster affording excellent accommodations, unparalleled hospitality, and convenience to explore Pennsylvania's Dutch Country and enjoy Amish quilt shops, horse-and-buggy rides, world class antique shops, and plenty of museums. The Inn at Leola Village, Est. 1867, a member of Historic Hotels Worldwide since 2014, dates back to 1867. Once an Amish tobacco farm, The Inn at Leola Village offers restored Amish cottages, rustic barns, and acres of stunning gardens, many maintained by Amish neighbors. Cancellation Policy: Cancellations must be made 72 hours prior to arrival. br /> Cribs and Pack-in-Plays: Not Available. Shuttle Service: Complimentary Mercedes Shuttle Service within 10-mile radius of The Inn. 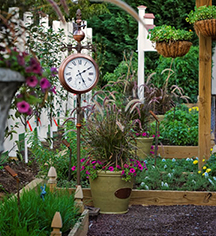 Situated in Pennsylvania's Dutch Country, The Inn at Leola Village, Est. 1867 is an idyllic destination for business travel, a leisurely weekend, group outings, or a romantic escape. Learn more about the History of The Inn at Leola Village, Est. 1867 .